Andrew and I recently celebrated our anniversary by spending a few days in Las Vegas. I arrived a little earlier than Andrew since he was flying in from a business trip and took the opportunity to visit a Lululemon store to see firsthand what all the hype is about. We live a couple of hours away from Vegas so we are becoming more familiar with some of the “off the beaten path” places worth visiting. 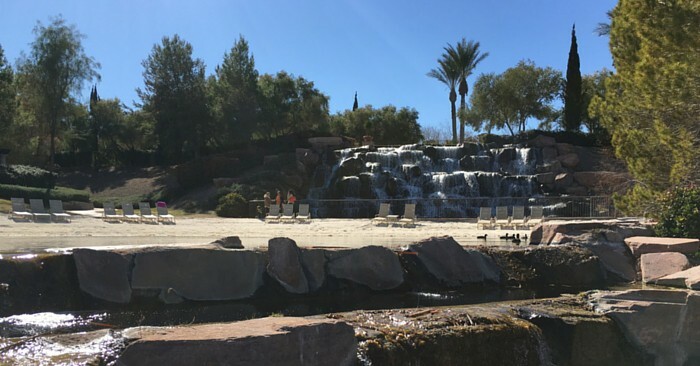 One of our sons had a baseball tournament in Vegas a few weeks ago and that’s when we discovered the best kept secret in Las Vegas. A great place for families to stay! A great place for couples! A beautiful place for a party or reception! A place to relax when you don’t want to be in the midst of the strip in Las Vegas, but close enough (a short 25-30 min drive) to hop over to the Vegas Strip when ready. 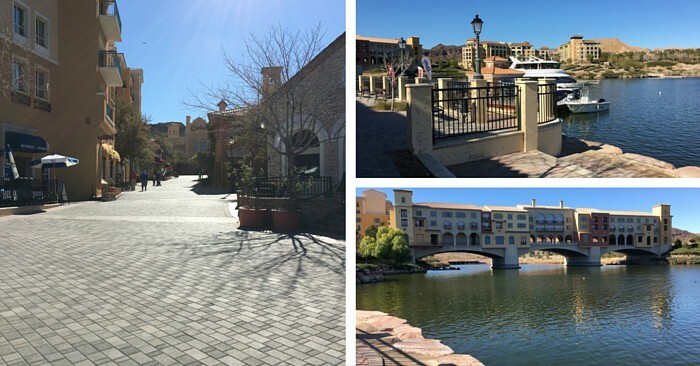 The Hilton at Lake Las Vegas Resort & Spa will make you feel like you are on a separate vacation from Las Vegas. Think of it as 2 vacations in one! There are great restaurants and a few shops adjacent to the hotel property which makes for a lovely stroll around after dinner or lunch. I didn’t get as many pictures as I should have, but inside the hotel is very elegant with many, many ballrooms for groups. Their is a restaurant inside the hotel that serves an outstanding breakfast buffet with dozens of items both healthy and worthy of a little splurge. There are several opportunities for exercise while there. They have bike rentals, a great walking/running/riding path that was over 6 miles and a great fitness room. 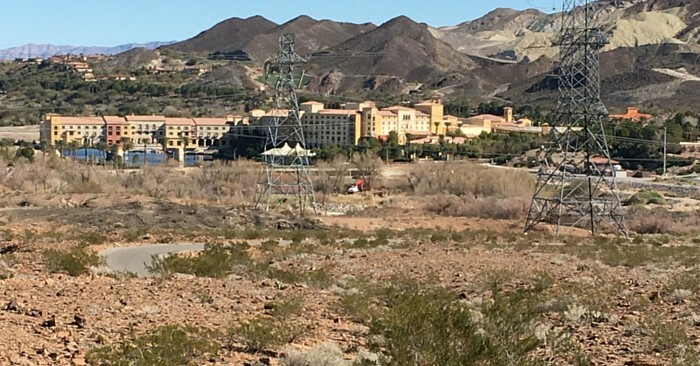 This is the view from the path that goes up into the hills and along the river that flows into Lake Las Vegas. There are several waterfalls to enjoy. This waterfall flows into a lagoon/beach area to enjoy. Of course, while I was in Vegas I wanted to visit the Lululemon store to see exactly what all the hype on their fitness clothing is about. Not going to lie…when I first walked in I was a bit intimidated and overwhelmed with so many different styles and items to choose from. I made my way through to the back of the store where it seemed to be the heart and soul of Lululemon. I hate I didn’t snap a picture to show you! Along two walls, were most of Lululemon’s pants for running, yoga and whatever workout or errand (Yes, these are definitely errand running worthy) you are doing. I would guess there were about 15 different styles lined up. Thankfully, just when I realized I had no idea which one I needed, a sales lady offered her assistance. I explained it was my first time and she gave me the ultimate Lululemon tour. After getting an assortment of styles of pants, shirts and jackets, I headed to the dressing room. Wow, just wow. Favorite pants…All the Right Places pant. How can you possibly go wrong with a pair of workout pants with that name? They truly fit great and I feel 2 sizes smaller just from wearing them! I bought a couple of the pants (one crop and one regular length) and will be shopping for more soon. Now I know where all of the hype comes from. While they are on the pricey side…they aren’t priced much higher than the workout clothes I have purchased previously and if you watch for their sales and clearance items they are definitely reasonable and worth spending a little more. I also ended up getting one of their jackets and a few shirts – a couple of them were on the clearance rack. The jacket fits like a glove and is great for chilly mornings. As an added bonus, Lululemon has a great shipping and return policy if there isn’t a store close to you – order online! I recently read an article about the psychology behind wearing workout clothes. Pretty interesting. It stated based on an experiment, when you wear workout clothing you become more active and more likely to go to the gym or exercise at home. I strongly agree! When I get out of bed, I throw on my workout clothes even though it is usually 2-3 hours before I workout. I have a daily routine I try to stick to. If you see me around town, I most likely will have either my workout clothes or my horseback riding clothes on. So, when you can…throw on your workout clothes to help you stay on track! Bonus if they are comfy! I am off to get in a HIIT workout in my Lululemon All the Right Places crop pants! 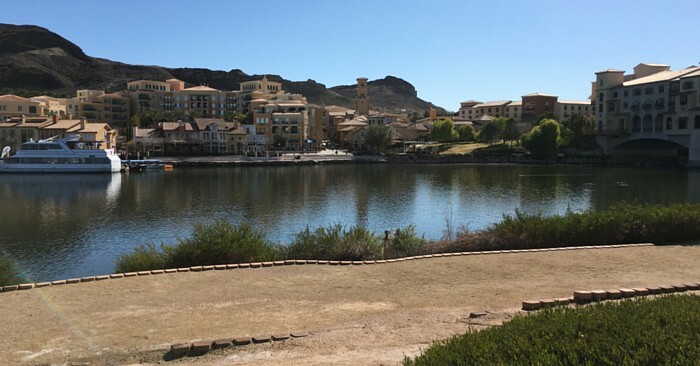 When you are in Vegas…stay at the best kept secret hotel/resort, the Hilton Lake Las Vegas and be sure to visit the Lululemon store for a new workout outfit!